When buying and selling homes, the importance of chimney inspections cannot be understated. Truth is, a home inspector does not have to inspect the inside of a fireplace. What a good home inspector will do is stipulate in his/her report that the homeowner(s) should absolutely receive a professional chimney inspection prior to using the fireplace. 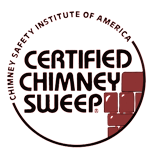 The National Fire Protection Agency – better known as the NFPA – has put in place three levels of chimney inspections. 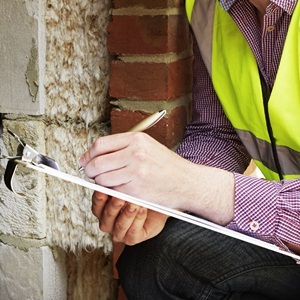 A Level 1 chimney inspection is the most common, which examines basic functionality of the chimney. Additionally, the expert performing the inspection ensures there is not any obstruction or fire hazard in place. In the event a home is sold or transferred, a Level 2 inspection is required, and all certified chimney inspectors acknowledge this fact. Removing any part of the chimney will not be necessary during the Level 2 inspection, save for simple doors or panels which would then allow the inspector to access the area. Video scanning equipment may be used for the flue lining examination as well. If a “hidden problem” is discovered during a Level 2 inspection, this is typically when a Level 3 inspection will then be required. With a Level 3 inspection, every inaccessible area of the chimney will also be inspected, using even more advanced equipment. For just a low flat rate, an expert chimney inspector will step in with state-of-the-art equipment. A chimney professional is able to see things other inspectors can’t. If you’ve just purchased your home, don’t assume the chimney is safe to use. The most important step of the process is examining for a buildup of creosote or cracks in the flue tiles. When creosote builds up on your chimney flue walls, the fire hazard risks escalate. In cases where the chimney has not been cleaned in some time, our sweeps will inform you how to get your chimney in tip-top shape for immediate use. 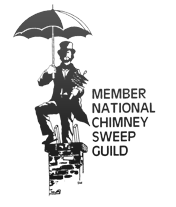 When approved to do so, the sweeps will perform the service for a low flat rate. Contact the Wisconsin Chimney Inspectors to make 100% sure your home's chimney is move-in ready.